With our home of Decatur, IL being a highly industrialized city, many opportunities were presented to	King-Lar for heavy metal fabrication. This work continued to open other doors for special fabrications and before long, King-Lar was building tool stands, cabinets, special jigs, and more, for major manufacturers such as Caterpillar, ADM, AE Staley, Wagner Castings, and others. 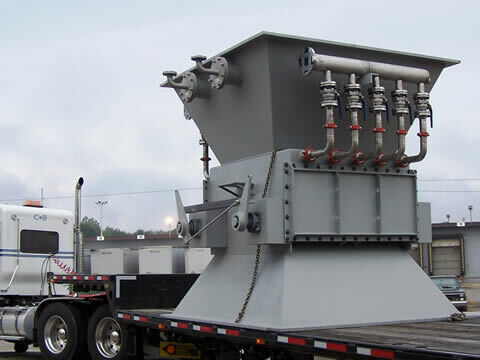 Our reputation continued to grow, and fabricated items were built and shipped to many locations outside of Decatur. That is still the case today. Over the years the range of metals continued to expand as well as the various alloys and special metals. 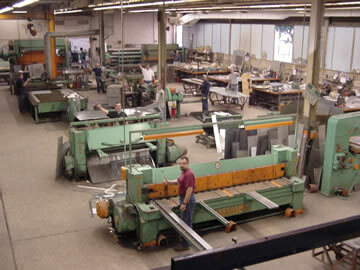 King-Lar stocks and fabricates all types of stainless steel, aluminum, copper, and other various metals. The gauges have expanded from the lighter gauges to plate steel as thick as 1''. It is not uncommon to see heavy fabricated items made from 1/4'' or 1/2'' plate in our shop.